Demonstrate a Performance Cost Index (PCI)1 below the Performance Cost Index Target (PCIt) calculated in accordance with Section 4.2.1.1 of ANSI/ASHRAE/IESNA Standard 90.1-2016, Appendix G, Table 4.2.1.1. For mixed use projects, the required PCI shall be calculated by using an area weighted average of the building types. Calculate the PCI, PCIt, and percentage improvement using metrics of cost and greenhouse gas (GHG) emissions. For each energy source serving the project, the GHG emission factors must be identical for the Baseline and Proposed building models. Display lighting. For display lighting, use the space by space method of determining allowed lighting power under ANSI/ASHRAE/IESNA Standard 90.1–2016, with errata (or a USGBC-approved equivalent standard for projects outside the U.S.), to determine the appropriate baseline for both the general building space and the display lighting. To be eligible for Option 2, projects must use the ASHRAE 90.1-2016 Prescriptive compliance path in EA Prerequisite Minimum Energy Performance. 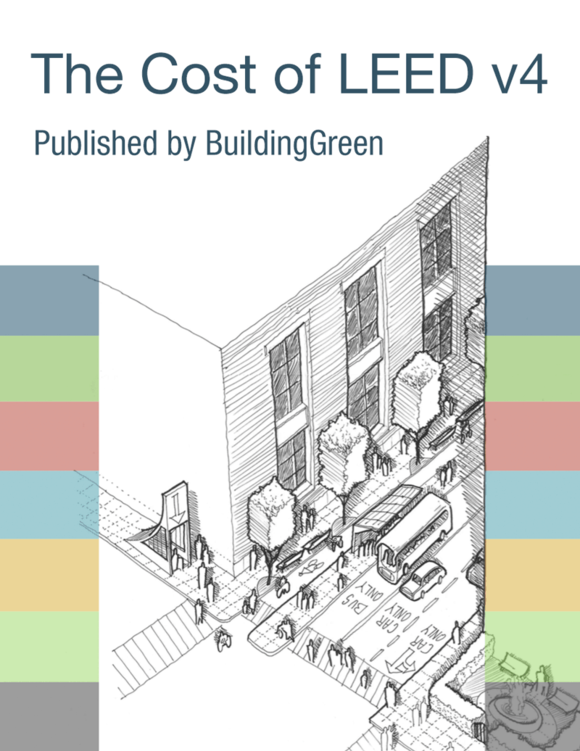 To be eligible for ASHRAE Advanced Energy Design Guide (AEDG) envelope and lighting strategies, the project space must meet the Scope requirements of the applicable AEDGs (or combination of AEDGs for mixed use). To be eligible for AEDG HVAC strategies, the entire building where the project is located must meet the Scope requirements of the applicable AEDGs. For base building systems that serve the project, as well as any applicable improvements that are part of the project, document compliance with the following according to base building type and climate zone. Lighting Power Density (1–3 points) Reduce connected lighting power density below that allowed by ASHRAE/IESNA Standard 90.1–2016, either using the space-by-space method or applying the whole-building lighting power allowance to the entire tenant space. Points are awarded according to Table 3. Daylighting Controls (1-2 points) Install daylight-responsive controls for a given percentage of connected lighting load (lighting in non-regularly occupied space with occupant sensor controls may be excluded from connected lighting load). The project scope of work must include at least 0.25 Watts per square foot of eligible equipment to apply this strategy, either limited to the eligible equipment within the project scope of work, or including all new and existing equipment. For existing equipment, ENERGY STAR or EPEAT requirements may be referenced to the date of purchase of the equipment.